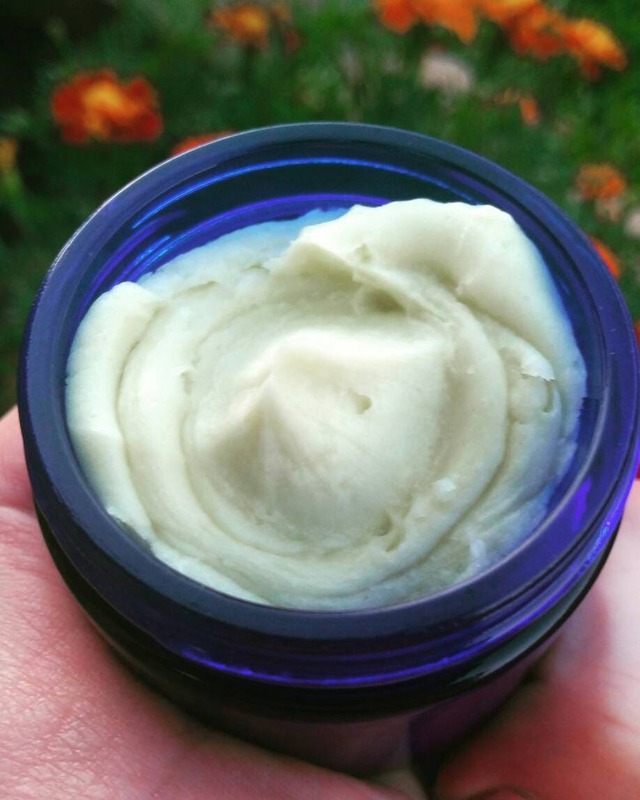 Cannabis + Vanilla + Shea Body Butter | A truly clean face + body moisturizer made with the finest Organic Shea Butter in a percentage that feeds your skin + Organic Cannabis (Hemp) Seed Oil + Organic Low Oleci Sunflower Oil. I was tired of things that said "Body Butter" but were anything but. This is a true butter, thick and rich, but easily absorbed. This is not just for body, made with ingredients that won't clog your pores + encourage younger looking skin + seals in moisture + and deeply nourishes. Even the Vanilla has been carefully sourced to create THE perfect butter. Four different suppliers from around the world are used to source the ingredients for this particular butter. Finally, infused with FRESH ORGANIC COLD-PRESS HEMP SEED OIL, this actually nourishes skin and reduces inflammation! The base is over 80% Certified Organic Shea Butter. If you compare this to your average lotion, you would need at least (and I am being generous) four bottles to equal as much shea butter as just one of these butters. I have water, at home, in my shower. It is free, and I feel no need to include water in products to cut costs. Unlike many moisturizers that use fillers to extend the expensive butters, I don't skimp on quality. You won't find fragrance or emulsifying wax hiding in my ingredients. This ultra-rich, yet fast absorbing butter is everything you ever wanted in a moisturizer. You can use it both face + body since it won't clog your pores. It won't leave you greasy unless you want to apply a ton. For me, I get out of the shower and massage about a dime-size amount on my top half and a quarter-size amount for my bottom half. I always start with less than I think I need, because you can always add more. Unlike many body butters that are packed with chemicals and artificial emulsifiers or butters that clog pores, this body butter will truly nourish your skin without clogging pores. Formulated with the most sensitive skin in mind, but rich enough for all skin types. Melts on contact with skin from a thick butter to a silky oil that spreads easily and soaks in quickly. Great for all skin types, but especially Acne Prone + Sensitive since I formulated it to be Non Comedogenic! So gentle, you can even use it on your face! Your average lotion is less than 25% oils and butters. This 2 oz Jar of Concentrated goodness is equal to at least 8 oz of lotion! Organic Hemp Seed Oil is light + packed with Omega Fatty Acids + Minerals + Soothing for skin concerns like Eczema + Psoriasis. Organic Sunflower Oil is rich in Vitamin E + Nourishes Deeply + Absorbs Easily + Antioxidant benefits. Essential Oils ONLY are used to scent these butters, making them 100% Natural and Non Toxic. Smooth Butter + In Summer May Melt, simply refrigerate 20 minutes, and then allow to reach room temperature, then fluff with fork. *Feel free to message me for more direction. In winter, this comes slightly more whipped for ease of application. Scrape a bit off the surface and warm between palms or warm in the jar with hands. Massage into damp or dry skin. I love applying this in the winter over wet skin. Apply thick layer to feet and hands before bed. Apply a small amount wherever and whenever your skin feels dry. Great after bathing or showering when skin is damp. Amazing :) - Liz B.